The Vernon Township Police Department currently uses body worn cameras. Body cameras will be worn to enhance community trust and record public interactions in an official capacity. 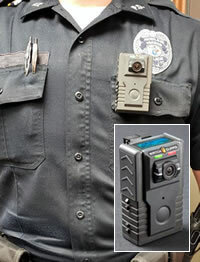 The cameras will be worn on the police officers’ outermost garment, on the upper body. The body worn cameras will be used in accordance with the New Jersey Attorney General’s Office directive and Vernon Township Police Department policy.